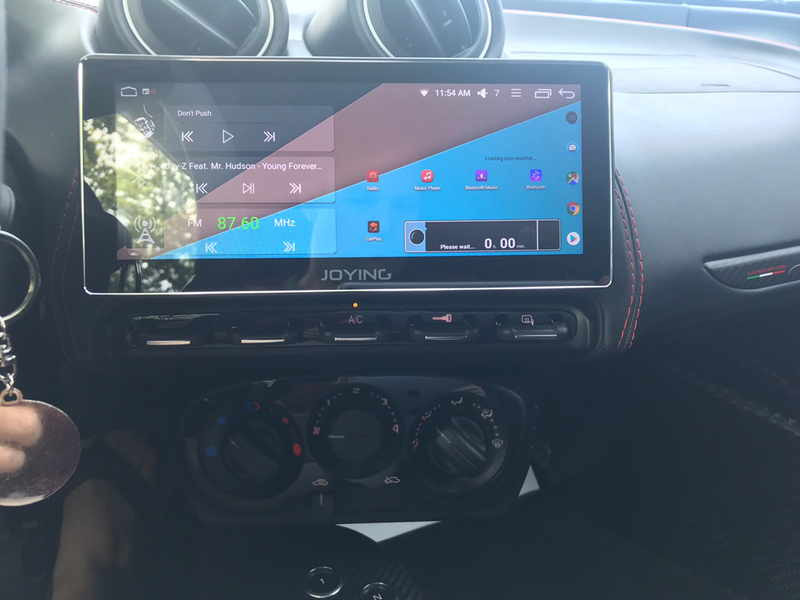 I installed the Joying 8.8" Android head unit with Android 8.0, Oreo, 8-core CPU, 4GB RAM and 32GB of storage and it worked out perfectly. It doesn't block the air vents or the control buttons panel. I just adjusted the monitor mounts one peg down. I bought a sheet of Alfa Romeo stickers on eBay to cover the Joying logo and that actually turned out okay (see the pics). There was a 10.25" wide monitor also available, but even though I wanted the biggest screen possible, the 8.8" one was more aesthetically pleasing in the 4C. I think if you wanted to later, you could get the larger screen and just pop it on. One more thing, I heard horror stories of buying directly from their site and having to return the unit so I ordered mine for a little more on Amazon to get some buyer protection. The sound quality is excellent and as good as with the Alpine head unit and its 9 band parametric EQ. The problem is the only way to control the volume is by a taskbar that is only sometimes at the top of the screen so it's at least a three tap/click affair. The mono RCA subwoofer has no settings at all and seems to be a preamp out connect to the front RCA output as tested with the fader. The scale on the volume goes to 32 but it's way loud already at 11 so I think the amplifier's gain settings need to be lowered, but I have no way to get to them. I still get clear vocals, crisp highs and full, deep bass (Focal amplified sub under passenger footwell). 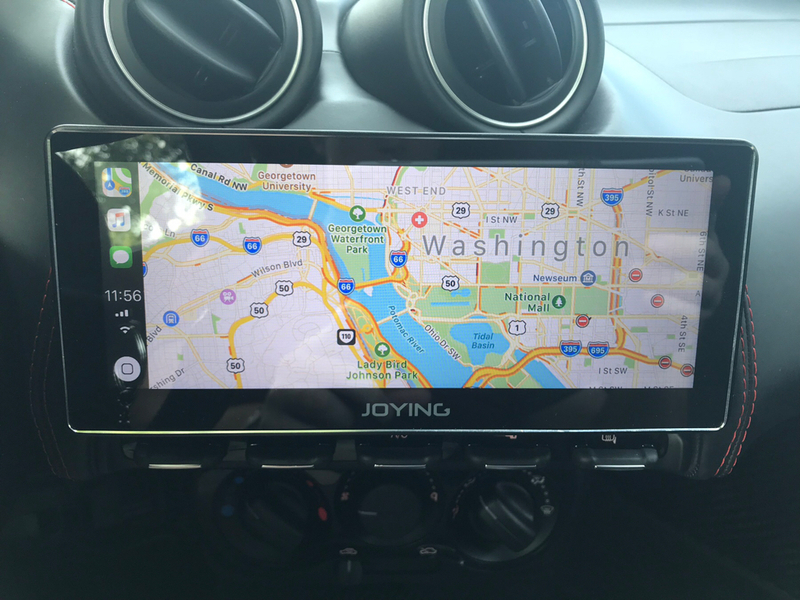 It comes with an app called ZLink which provides full Apple Carplay and Android Auto. I can confirm that Carplay works exactly like on my Hyundai with no issues. Phone calls seem to work great as confirmed with friends, but using Carplay, two people said they heard echoes of their own voices with a 1 second delay. Bluetooth calls were fine, but I've yet to test this on the freeway, however, the Alpine worked great there so I think it'll be good. This is basically an Android tablet so you can install anything on it so I got Poweramp for music, VLC for video, Crunchyroll for anime (Yah I'm a weeb), Waze, etc. but all of these need WiFi which the head unit has. It also comes with the Torque app for vehicle monitoring and fault codes and I bought a $10 OBDII bluetooth thingy. You can also install a DVR using the secondary USB port. I still want to do the reverse camera but I'm lazy so I'll save that for later. The radio app works well and I was able to pull in all the stations I wanted. I shoved the GPS antenna in the passenger side of the dash squeezed between it and the windshield with velcro wrapped around it. showing the looping video I made as the background using the Video Live Wallpaper app. I used a bit from the Grand Tour's Alfa Romeo 4C segment. I love how this turned out and with the right songs it looks even better. Also, you can choose the car manufacturer logo from a list and of course I picked the Alfa Romeo boot logo. Since everything is application based, you get weird scratching sounds sometimes and music cutting out briefly. Apps sometimes fight over who owns the sound and sometimes after waking from sleep, the WiFi doesn't work and there might not be sound. One time the rear channel (which on mine is connected to the 6.5" door woofers in a bi-amp setup) just stopped working. All of these issues can be fixed with a soft reboot which takes about 30 seconds from what I recall. You can set the unit to sleep for two days which means it wakes up in 2 seconds. I'm going to pay attention if this causes any extra battery drain, but I drive it often so it should be an problem. The on-screen volume control is kind of an issue, but if it bugs me in the future, I will install an Audison bit Ten D with the digital remote control dial as I feel the volume should always be a dial. Since the monitor is super wide, you only have two rows of icons as the bottom row is fixed like on an iPhone. For things like Google Maps or Poweramp fiddly to use as you have a very thin window of usable space. Lastly, the USB port doesn't recognize drives formatted in exFAT, but can see NTFS or FAT32. Sorry for the long post but I'm really excited how well this turned out and love that it almost looks factory. This does almost everything I want as far as in-car-entertainment goes and to have it in my dream car makes it even more awesome. If you guys have any questions or want me to test anything, let me know. heelntoe, 4Calgary, chimera and 12 others like this. I have the same head unit, and it’s great. The screen actually looks modern with glass, instead of the crappy plastic display I had on my pioneer avh-7800. CarPlay works well with the only downside being Siri can’t hear me when going above 35 mph. I’d recommend it over any of the name brand stuff, all which seems like it hasn’t been updated since 2013. Do you mind posting the link to the Alfa sticker you used? I’m going to steal your idea and get it to cover the joying logo. It's amazing how capable this unit is and how much cheaper it is than the usual Alpine, Pioneer and Kenwood stuff (they're like dinosaurs now). 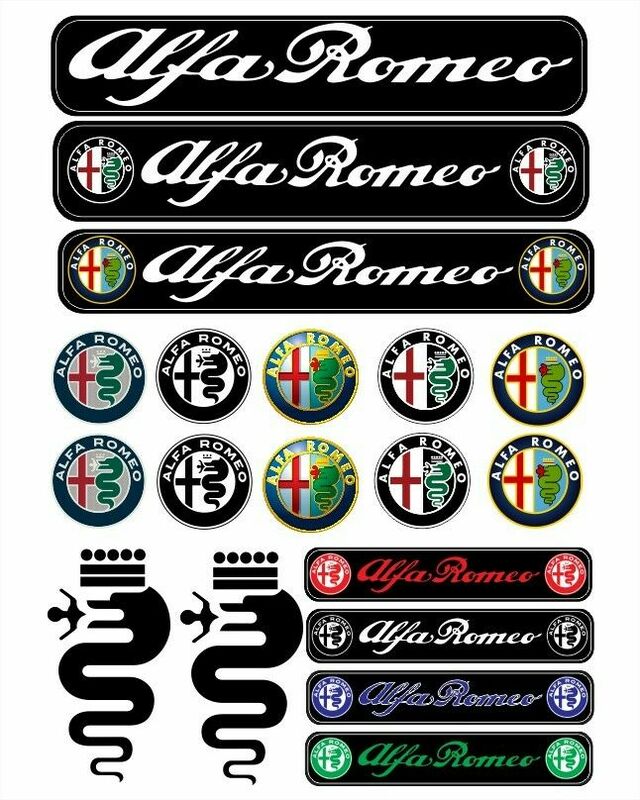 I got the stickers on ebay - Alfa Romeo Tuning Decals Sticker 1 Set-19 Piece Full color HD. They were much larger than I thought so there was only one I could use. I tried cutting out a rectangle around the one I chose, but ultimately decided it looked best cutting it closely around the shape. Just be careful as you only get one shot at it. NOTE: After sticking it on, keep in mind there is still another clear plastic on the top side of it that needs to be removed. 4Canada and duppie2007 like this. 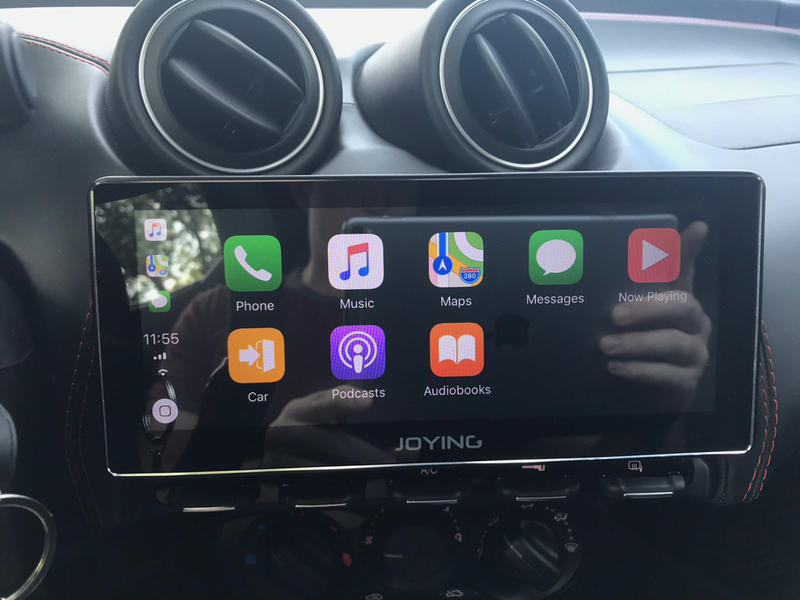 Could you post a photo or two, or a video, of what CarPlay looks like on it? CarPlay doesn’t support that wide aspect ratio, so does it just black bar it on the sides? To launch it, it’s just a matter of connecting the usb cable to the iPhone then tap the ZLink app? In Android, it gets it’s data by connecting to the phone as a WiFi hotspot, right? Thanks for the link to stickers. CarPlay might not officially support it, but it fills the whole screen without any bars or stretching. 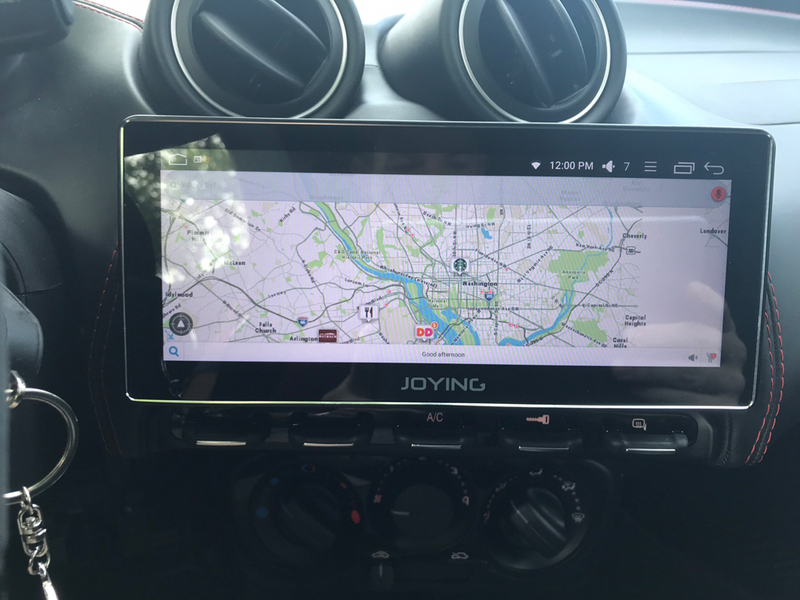 It’s just a matter of connecting via usb and launching the zlink app on the head unit. It also will keep the currently running app open while the unit and car is off, so when you start the car again it will go straight to CarPlay. I’ll post some photos tomorrow once I get a chance to take them. The one thing I haven’t figured out yet is if it uses the phone or car microphone when in CarPlay for voice commands. It works without the car microphone attached, but I’ve also read that CarPlay should use the cars if it has one. When it isn’t in CarPlay you do have to WiFi tether to the head unit to get data. I will say I’m not a big fan of the stock launcher it came with, but you can install a different launcher like Nova, which makes it a lot more user friendly. Unit installed with Nova launcher. 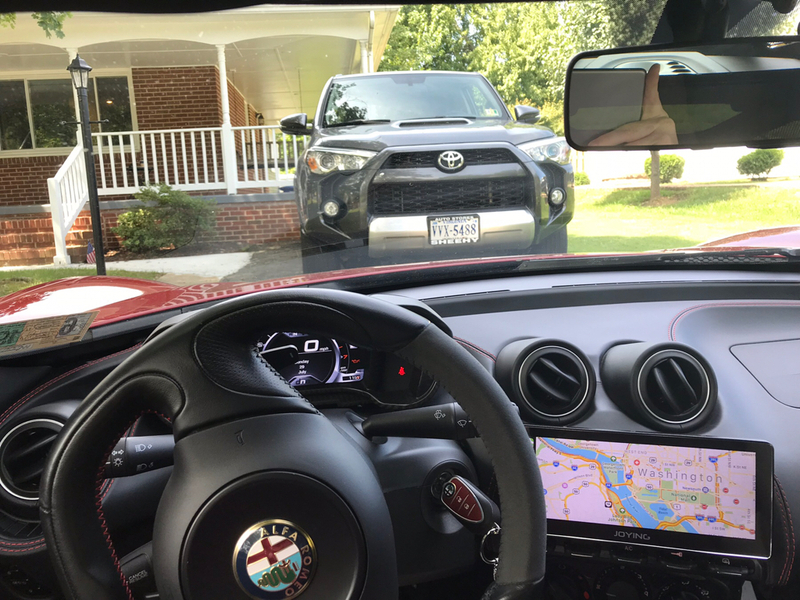 Driver’s perspective. The left side is blocked a little by the steering wheel when driving. Waze when not in CarPlay. Waze in CarPlay is coming soon according to Apple and the developers. Great pics Jgwebber! Here are a few more Carplay screenshots from the Zlink app. The app doesn't launch automatically when you plug your phone in. I'm gonna try that Nova launcher. BTW, I got tired of the volume control and installed my old Audison Bit Ten D and put the remote under the handbrake area. Having a dial always there for volume is how it should be and I also forgot how ridiculously powerful the Audison Bit Ten is. I love everything about this car and the sound system even more now. Do you know the specs of the GPS antenna it comes with (Hz)? That looks great, thanks guys. I’m surprised that CarPlay has support to adapt to different resolutions/perspectives. I hadn’t considered the volume thing. Does using the buttons on the phone while in CarPlay adjust it? I’m going to have to order one of these.